Enroute from Rotterdam to Helsinki the "Containerships VIII" was disabled by an engine failure during the transit of the Kiel Canal on Jan 21, 2017. The ship was stuck at Breiholz. The crew managed to restart the engine two hours after the trouble occurred after the exchange of the fuel pipe, and the vessel continued the voyage, arriving in Helsinki on Jan 23 at 7 a.m.
Enroute from Rotterdam to Kotka the "Containerships 8" suffered a technical failure in the Elbe estuary in the afternoon of Dec 7, 2016, and was taken in tow by the tug "Wulf 7" (IMO: 9183075) on the outer Elbe roads. Also the tug "Bugsier 15" (IMO: 9021112), came to assist as stern tug. 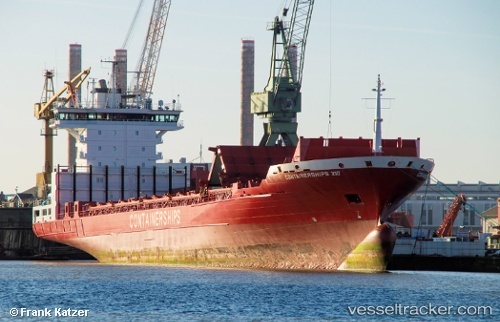 The ship was pulled to Cuxhaven where it was berthed at the Steubenhöft at 6.15 p.m.